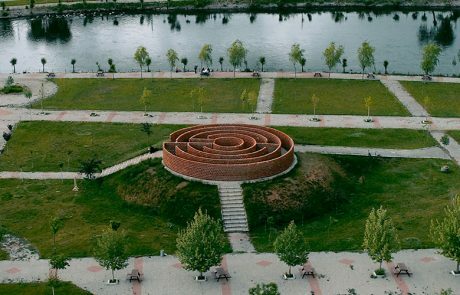 Héctor Zamora will create a labyrinthine structure with reference to a labyrinth drawing discovered on a stone found in Knidos, Turkey. 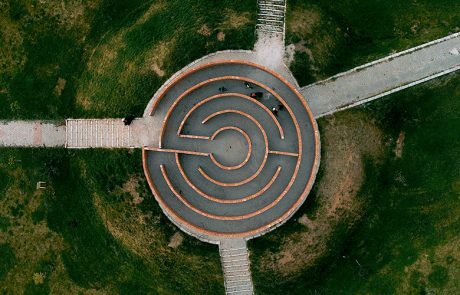 This early example of Eastern labyrinths provides a circular route that leads all the way to the center and then back, without any other options or short cuts, contrary to later maze-type labyrinths mostly encountered in the West, which contain paths that branch out thus providing options to the walker. 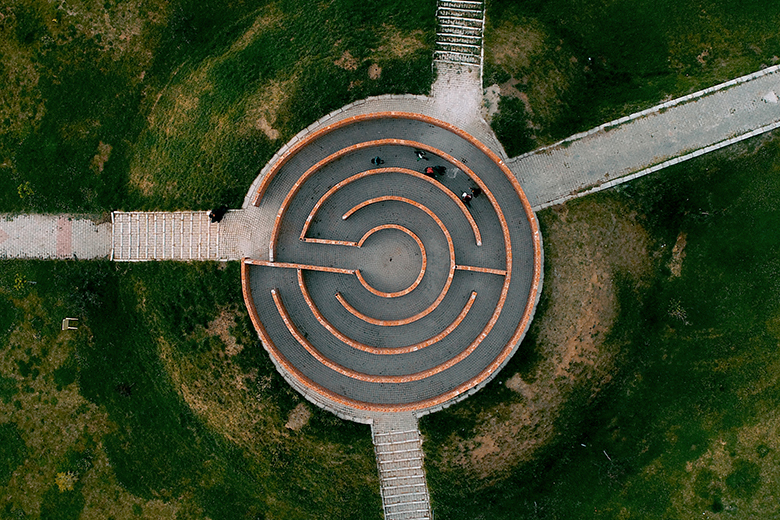 Having adopted different styles and meanings throughout history, labyrinths carry symbolic significance in connection with mythology and the notion of the sacred. In this sense, the early Eastern labyrinths, which are Zamora’s source of inspiration offer a journey that prompts movement towards the inner self by way of all possible paths, calls for concentration, contemplation and meditation. 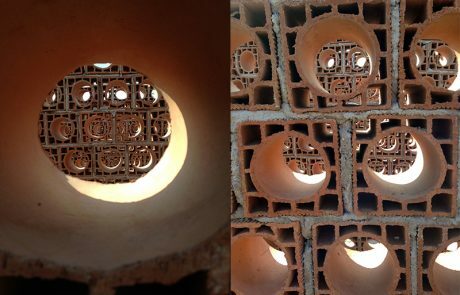 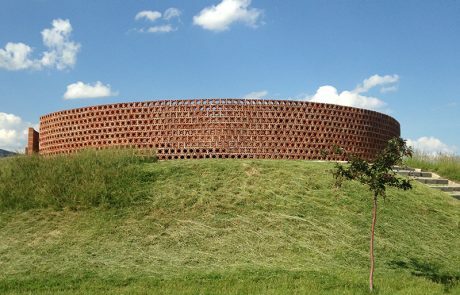 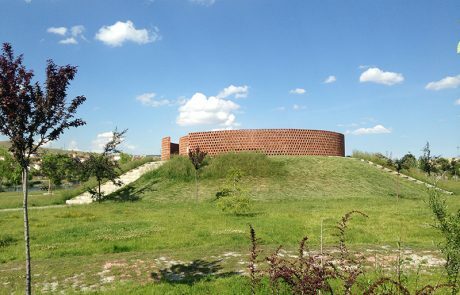 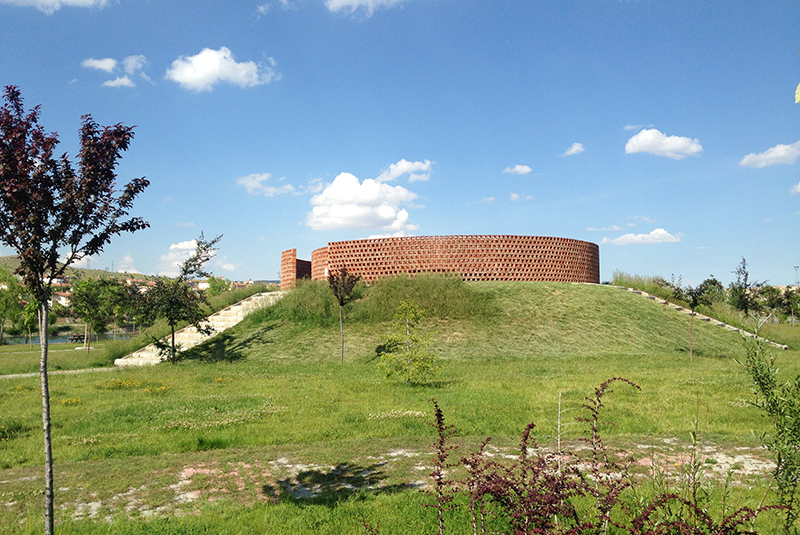 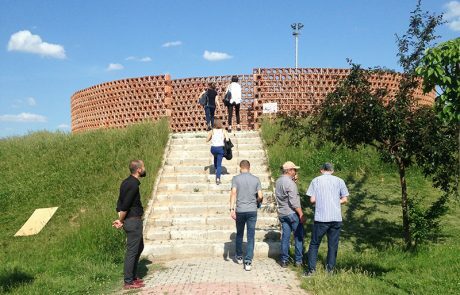 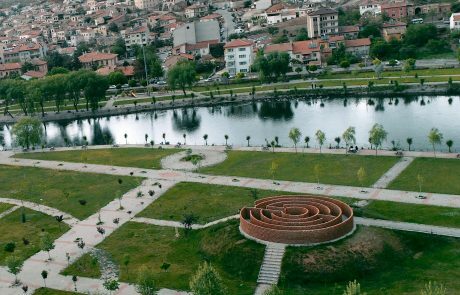 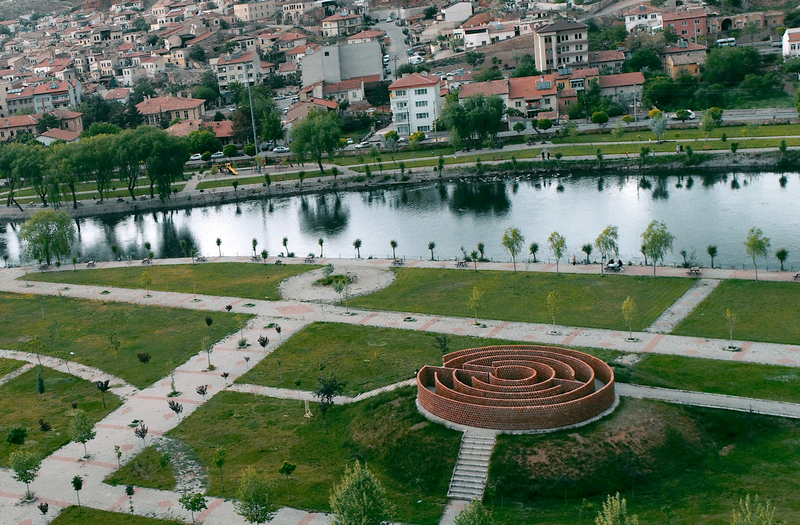 The artist utilizes locally produced perforated bricks in his circular sculptural installation with a diameter of 16 m, titled Truth Appears Always as Something Veiled, which will be located in the Avanos park. 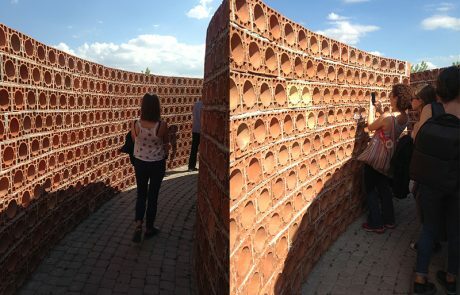 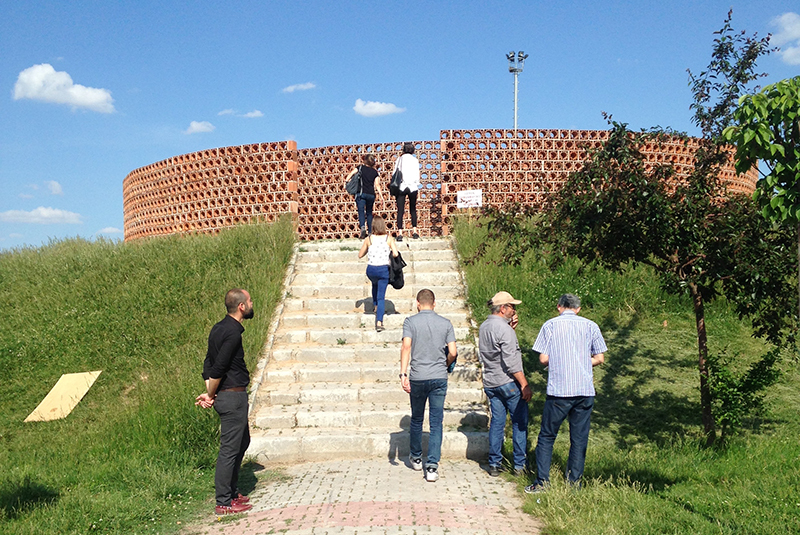 Believing that this labyrinth, which is built out of 12000 perforated bricks and therefore has walls that split and break up sight yet do not obstruct it completely, offers a “new perception somewhere between that which is open and veiled”, the artist is therefore proposing “a kind of physical metaphor about the times that Turkey and the world have been going through”.